So Much to Read, So Little Time: How Do We Read, and Can Speed Reading Help? People are confronted with a vast amount of text on a daily basis. Between emails, textbooks, newspapers, and magazines – to name a few – is it any wonder that people are interested in learning how to improve their reading speed? This desire has led to the development of speed-reading courses and smartphone applications meant to help readers improve their reading pace. So what does science say about our ability to improve our reading speed? Are people able to vastly increase the number of words they read per minute? And do the programs that claim to turn people into speedier readers actually deliver on their promises? In this report (Volume 17, Issue 1), Keith Rayner and colleagues review what we know about the reading process and the implications for those wishing to become speed readers. They find that claims that people can read at super speed while maintaining good comprehension are overstated and not in line with what we know about the way language is visually and cognitively processed. Reading programs often purport to increase reading speed by limiting or altering functions that are constrained by the visual system or that are actually beneficial to language comprehension. For example, many speed-reading programs present text using rapid serial visual presentation — a technique that presents one word of text at a time. Speed Reading: You Can’t Always Get What You Want, but Can You Sometimes Get What You Need? Speed-reading proponents claim that this presentation style eliminates the need to make eye movements, thus speeding up the pace of reading. However, saccades are used to naturally move to the parts of text in most need of processing and to move back to material that has not been adequately understood. Eliminating them generally impairs the recall accuracy of material presented at faster speeds (one of the main reasons for wanting to speed read). Other programs claim to allow people to take in whole sentences, paragraphs, or even pages with a single glance, or they claim to train people to use their peripheral vision to process larger quantities of information. However, the amount of information people can take in with each eye fixation is limited by cognitive and linguistic factors and is therefore resistant to alterations, and research shows that information obtained through peripheral vision appears fuzzy and unfocused. It is not surprising that evaluations of trained speed readers have shown that an increase in reading speed is accompanied by a reduction in comprehension of the material being read. So what, if anything, are these speed-reading programs good for? They may be best at training people to be better skimmers of information. Not all text needs to be read in the same way. In some cases, people may want to move quickly through material while getting a general understanding of the content or identifying a few key areas for additional processing. 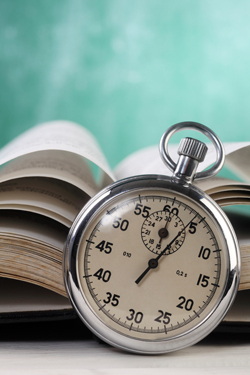 Speed-reading programs, in essence, seem to train people to accomplish this task faster. Is there any way, then, to speed up reading while maintaining high levels of comprehension? Rayner and colleagues find that modest gains in reading speed are possible through old-fashioned practice. The greater the exposure a person has to a word, the faster and more easily that word will be processed. When people, through practice, expose themselves to a wide variety of different textual material, they become familiar with a wide range of words, leading to faster cognitive processing of text and thus a faster reading speed. According to commentator David A. Balota, this issue is an outstanding resource – put together by a dream team of researchers – for those wishing to know about speed reading. The report shows there is no quick and easy way to improve reading speed while avoiding costs to comprehension; however, for those who want to be able to quickly gain a general understanding of text, improved skimming through speed-reading training may be beneficial. † It is with great sadness that we note the passing of Keith Rayner in 2015. Publications > APS Journals > Psychological Science in the Public Interest > So Much to Read, So Little Time: How Do We Read, and Can Speed Reading Help? I’m curious the authors’ thoughts on a reader like Theodore Roosevelt who reputedly read one to three books daily with astonishing speed and retention, often citing back the actual text with remarkable recall.